Since its introduction to the popular market in the 90s, composite lumber has been the first choice in material for those who prefer a low-maintenance yet durable deck. 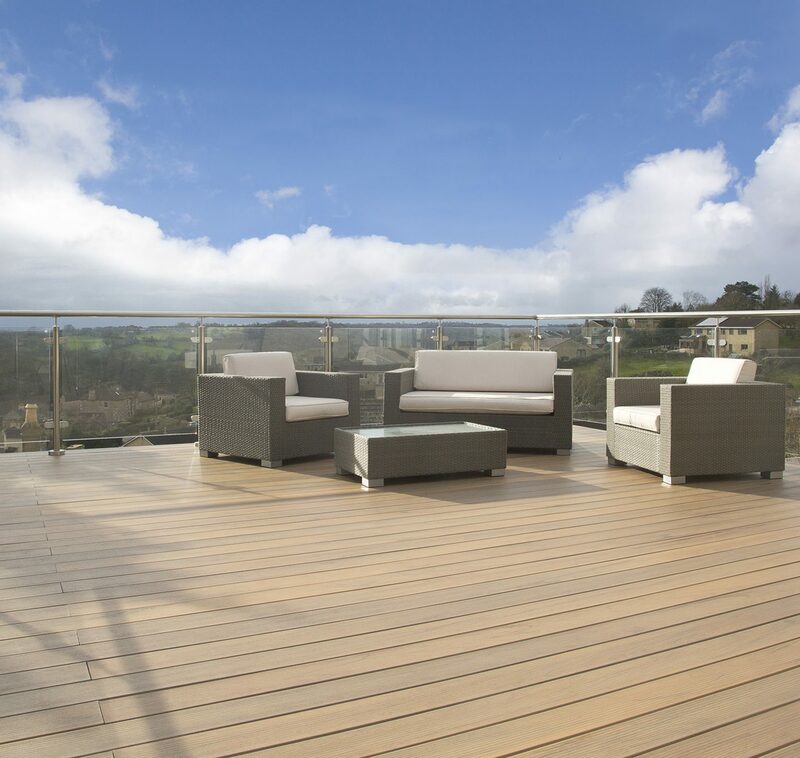 Not only is it designed to withstand the harshest weather and elements, especially when compared to traditional timber decking, it also offers the look and feel of natural wood. Composite decking has come a long way in a relatively short time, however, and what you’ll find in today’s market is not the same as the composite available when it first hit the scene. Not all composite timber is created equally and when you look to new, more modern composite you’ll see why. Using a grade of polymer that is easy to segregate and decontaminate, quality composite is recyclable and environmentally friendly. Its durability means that the need for repairs is reduced, but should a deck need replacing, that composite can be put back into the manufacturing process to ensure no material goes to waste. While composite decking has always offered a splinter-free alternative to natural wood that allows for a smooth and clean feel, slip-resistant decking is still a relatively new concept that some composite decking manufacturers still don’t offer. For others, however, slip-resistant composite timber is making its way into many new decks. For composite that conforms to British and European standards, this non-slip material means that owners don’t have to worry about their deck retaining moisture that creates a slick surface and instead can power-wash their composite freely. As composite decking has grown in popularity so has its durability. Modern composite decking can not only withstand the harsh elements, including rain, hail, sleet, snow and sun, but it keeps its bright colour and new look long after they’re gone. While it has always been head and shoulders above traditional timber in this respect, manufacturers have seen that composite truly does stand the test of time and many manufacturers now offer guarantees from anywhere between 10 to 25 years on their product. Because of composite timber’s amazing durability, new composite decking is essentially maintenance-free. The modern manufacturing process of composite decking that utilizes recycled hardwood and polymer resin means that decks stay strong and don’t warp. Especially compared to traditional wood decking that may require replacing boards, painting and staining, composite offers a true worry-free alternative—since its inception, composite has only got stronger. With an ever-growing popularity among decking materials, composite timber has evolved to meet the needs of so many homeowners. Its design and strength have been specially crafted to offer owners the look of natural wood with the durability of a much stronger material and it is constantly being refined and perfected. Because of its ease of use and high quality, modern composite decking will not only stand the test of time but increase the value of your home, too, making it look beautiful with no effort at all. 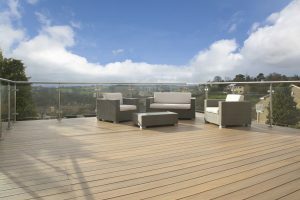 What makes composite decking eco-friendly?